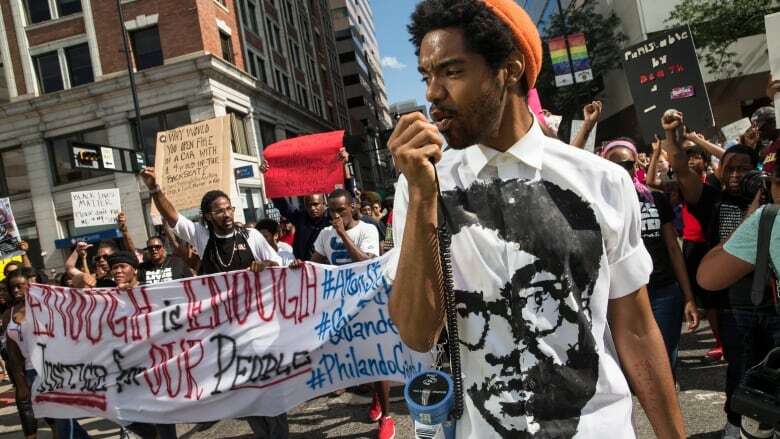 Shootings and other deadly encounters between black men and police officers across the U.S. have prompted protests and renewed questions about race relations. Here are 14 recent and high-profile cases. A white former police officer in South Carolina was sentenced to 20 years in prison on Thursday for shooting an unarmed black motorist to death in 2015. 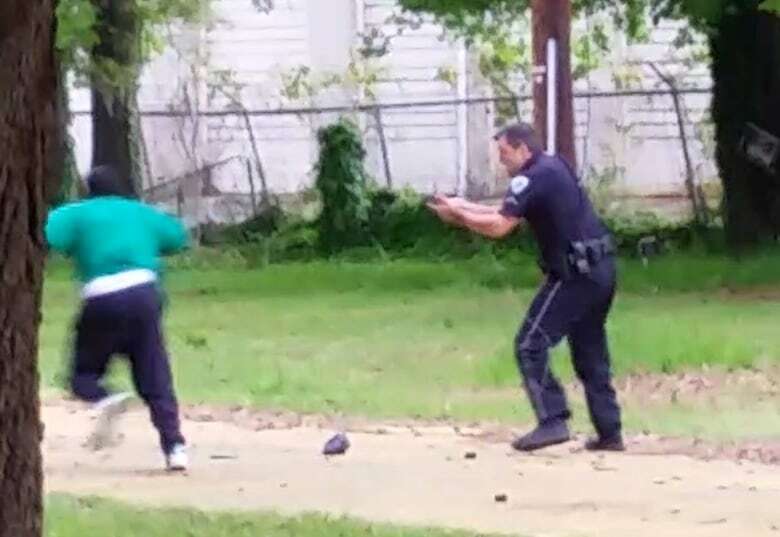 Former North Charleston officer Michael Slager pleaded guilty to violating Walter Scott's civil rights when he shot him five times in the back. A state murder charge, which resulted in a hung jury in 2016, was dropped as part of the plea deal. Six Baltimore officers were involved in the arrest and in-custody death of Freddie Gray, a 25-year-old black man who died after being injured in a Baltimore police van, touching off weeks of protest. Prosecutors in July 2016 dropped all remaining charges after acquittals and a hung jury. The U.S. Department of Justice then decided not to bring federal civil rights charges. Gray's family agreed to a $6.4 million settlement with the city in September 2015. 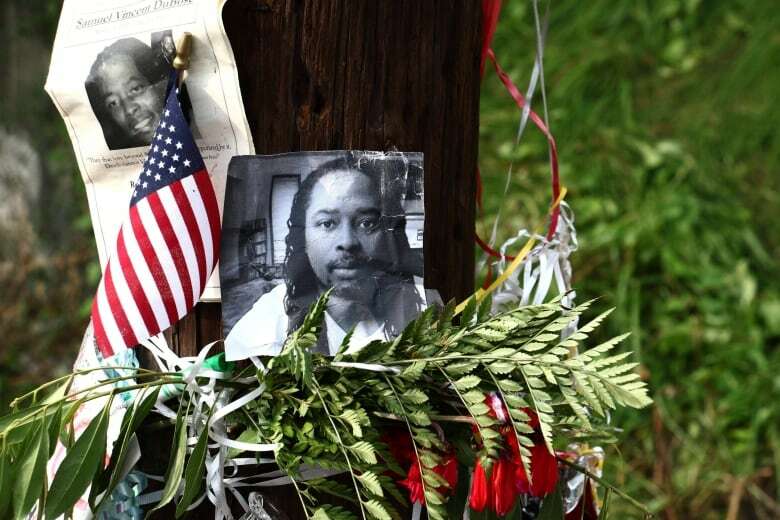 A judge in July dismissed charges against Ray Tensing, a white former University of Cincinnati officer who fatally shot Sam DuBose, an unarmed black motorist, during a 2015 traffic stop. The judge's decision came after a prosecutor declined to pursue a third murder trial; the first two ended in hung juries. Tensing has said he feared he could be dragged or run over as DuBose tried to drive away. The university fired Tensing, restructured its public safety department and reached a $5.3 million settlement that includes free undergraduate tuition for DuBose's 13 children. St. Anthony, Minn., officer Jeronimo Yanez was acquitted of manslaughter in June in the fatal shooting of Philando Castile, a black motorist who had just informed the officer that he was carrying a gun. The case in suburban St. Paul garnered immediate attention because Castile's girlfriend streamed the aftermath live on Facebook. Yanez testified that Castile was pulling his gun out of his pocket despite his commands not to do so. Castile's mother reached a $3 million settlement and his girlfriend was paid $800,000 by the City of St. Anthony and others. An Oklahoma jury in May found white Tulsa police officer Betty Jo Shelby not guilty of first-degree manslaughter in the 2016 death of Terence Crutcher, 40, who was shot shortly after Shelby arrived to find Crutcher's SUV stopped in the middle of the road. Shelby testified that she was afraid because Crutcher didn't obey her commands and appeared to reach inside his vehicle. Prosecutors told jurors that Shelby over-reacted, noting that videos from a patrol car dashboard and a police helicopter showed Crutcher had his hands in the air and did not have a weapon. Federal prosecutors announced in May they would not seek charges against two white police officers who were involved in a deadly encounter with Alton Sterling in Baton Rouge, Lo., last summer. Sterling, 37, was shot to death on July 5, 2016, as the officers pinned him to the pavement outside a convenience store where he had been selling CDs. The killing was captured on cellphone video and circulated widely online, sparking demonstrations across the city. U.S. Attorney Corey Amundson said Sterling was armed during the confrontation and the investigation didn't find enough evidence to pursue charges. State authorities are investigating. 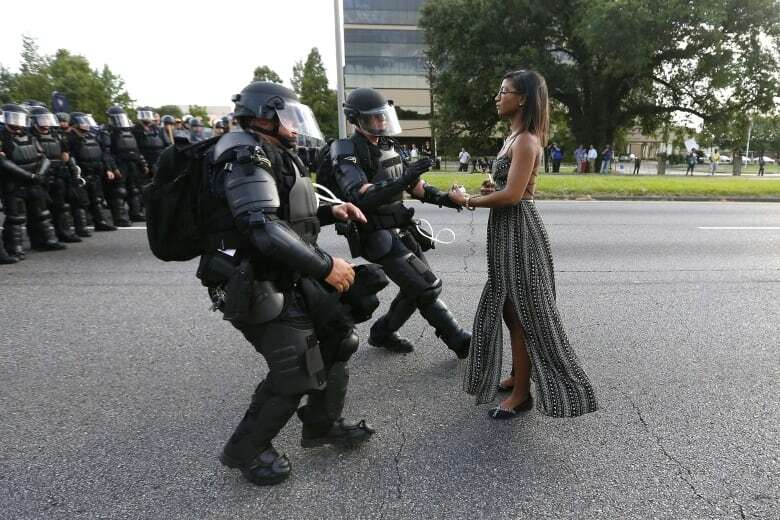 A demonstrator protesting the shooting death of Alton Sterling is detained by law enforcement near the headquarters of the Baton Rouge Police Department in Baton Rouge, La., on July 9, 2016. Jamar Clark's November 2015 shooting death sparked weeks of protests in Minneapolis, Minn.
Two white officers, Mark Ringgenberg and Dustin Schwarze, were trying to arrest the 24-year-old when he was shot once in the head. He died a day later. Some witnesses said Clark was handcuffed when he was shot, but federal and state probes concluded that he was not. Investigators said Ringgenberg felt Clark's hand trying to grab his weapon and shouted to Schwarze, who then shot Clark. Prosecutors did not choose to charge either officer, and an internal police investigation cleared them. Jeremy McDole, 28, was sitting in his wheelchair when he was shot and killed in September 2015 in Wilmington, Del., after police received a 911 call about a man with a gun. A bystander's cellphone footage showed police officers repeatedly telling McDole to drop his weapon and raise his hands, with McDole reaching for his waist area before shots erupted. The Delaware attorney general's office did not criminally charge the four officers involved. A federal judge approved the city's $1.5 million settlement with McDole's family. Former Portsmouth, Va., police officer Stephen Rankin was sentenced last October to two and a half years in prison for fatally shooting William Chapman II while responding to a shoplifting call outside a Walmart on April 22, 2015. Prosecutors allege Rankin killed the unarmed 18-year-old "willfully, deliberately and with premeditation." Some witnesses said Chapman was combative, and one said he knocked away Rankin's stun gun. Rankin, who is white, was fired. Former North Charleston, S.C., patrolman Michael Slager was sentenced to 20 years in prison in the April 2015 shooting of Walter Scott, 50. Slager had stopped Scott for a broken brake light. Slager claimed he opened fire — five of his eight bullets hit Scott — because he felt threatened after the motorist tried to take his stun gun during a struggle. But a bystander captured the encounter on video and the judge found that Slager had obstructed justice by lying to investigators. Slager, 36, is one of the few U.S. police officers in recent years to receive prison time for an on-duty shooting. Former Tulsa County volunteer sheriff's deputy Robert Bates, 74, was sentenced in 2016 to four years in prison for second-degree manslaughter in the April 2, 2015 death of Eric Harris, 44, who was unarmed and restrained. Bates, who is white, has said he confused his stun gun with his handgun. That shooting led to the temporary suspension of the reserve deputy program after a report found poor training of the volunteer officers, a lack of oversight and cronyism. Tamir Rice, 12, was fatally shot by a white Cleveland police officer in a recreational area in November 2014. Officers were responding to a report of a man waving a gun. The boy had a pellet gun tucked in his waistband and was shot after the officers' cruiser skidded to a stop, just feet away. A grand jury in December 2015 declined to indict patrolman Timothy Loehmann, who fired the fatal shot, and training officer Frank Garmback. 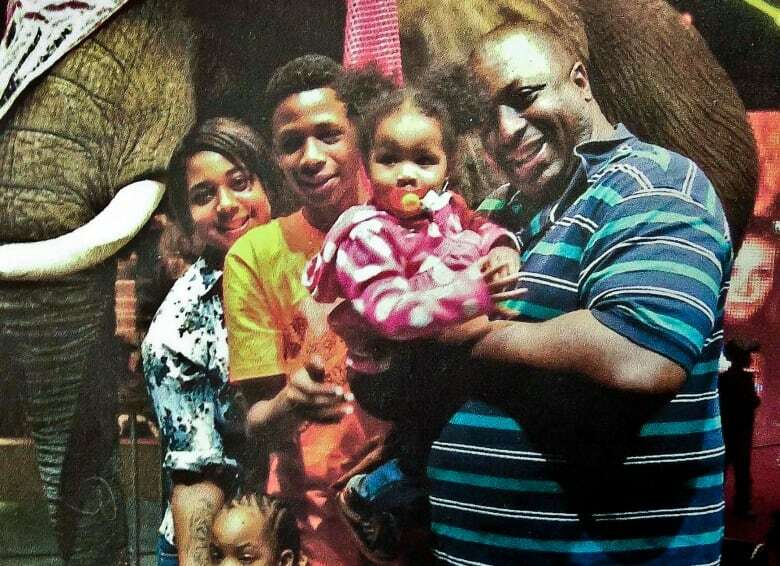 The city settled Rice's family's lawsuit for $6 million. Cleveland in May fired Loehmann and suspended Garmback for 10 days. The officers' union called the discipline politically motivated. Rookie New York City police officer Peter Liang was convicted of manslaughter last year in the November 2014 death of 28-year-old Akai Gurley. Liang, an American of Chinese descent, said he was patrolling a public housing high-rise with his gun drawn when a sound startled him and he fired accidentally. A bullet ricocheted off a wall, hitting Gurley. A judge reduced the conviction to negligent homicide and sentenced Liang to five years' probation and 800 hours of community service. The city settled with Gurley's family for $4.1 million. Michael Brown, an unarmed black 18-year-old, was fatally shot by a white officer, Darren Wilson, in August 2014 in Ferguson, Mo. A grand jury declined to indict Wilson, and the U.S. Justice Department opted against civil rights charges. Wilson later resigned. The death of Brown led to months of sometimes violent protests and became a catalyst for the Black Lives Matter movement.